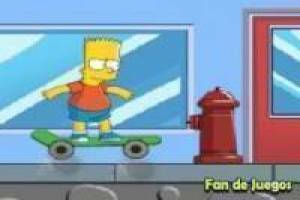 If you are a faithful follower of the crazy adventures of The Simpsons, you will know that his eldest son, Bart, is passionate about skateboarding and uses it as his means of transportation throughout the city. In this new game, we will train our skills with this vehicle and for that, we will carry out a journey full of obstacles. We will have to dodge all the barriers that we find on the way while we collect the snacks that are scattered throughout the level. You have to reach the finish line safe and sound to get through the level and move on to the next one. 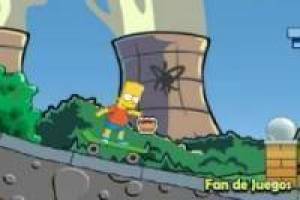 Collect snacks to get a great score and do not fall in the obstacles in Bart Simpson skateboard 2. 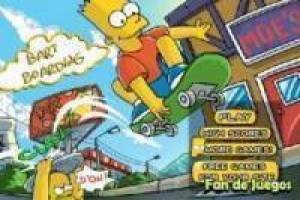 Enjoy the game Bart simpson on skateboard 2, it's free, it's one of our roller skates games we've selected.